T/4 Wayne A. Gillum, son of Mr. and Mrs. John Gillum, attended school in Henderson; husband of the former Kathryn Casgrove. 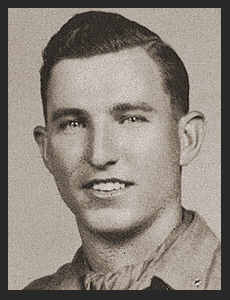 Entered Army in 1943, trained in Camp Hood, Texas; served in Italy and Africa. Awarded Good Conduct Medal, ETO RIbbon with two Battle Stars.